DIY all-purpose cleaner is a natural and effective way to clean your house. 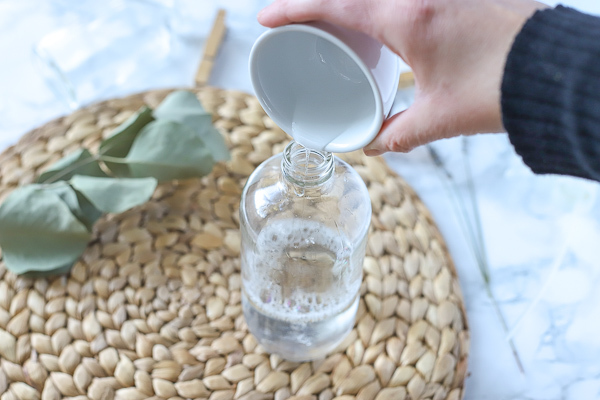 From the bathrooms, to the kitchen counters, to windows, this homemade all-purpose cleaner does it all. 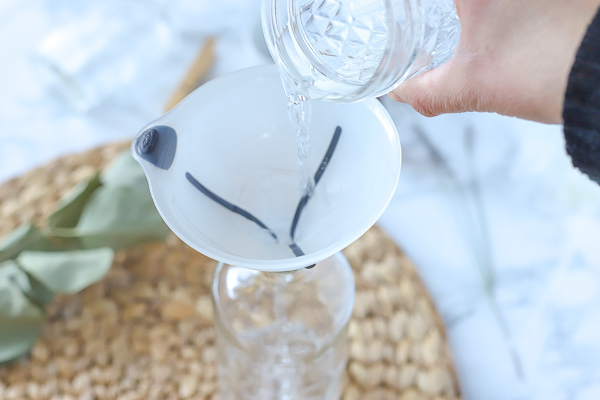 Follow my tips below when making this homemade cleaning recipe. To make this cleaner you will need: water, vinegar, natural dish soap, and essential oils. 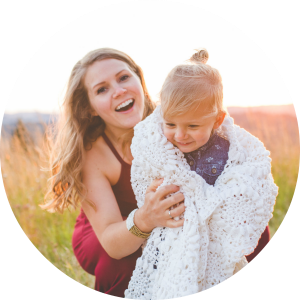 Who wants and all natural non-toxic cleaner without spending a fortune on it? We do, we do! Kidding of course, although with the ingredients included in this homemade all-purpose cleaner it may just work. I’ve tried many recipes before and it seems like they all leave streaks or residue on glass. So I created my own years about 5 years ago and still love it to this day. Of course this is extremely frugal as it cost just pennies, and it is natural. 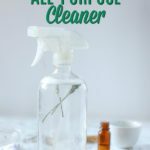 Why make your own DIY All-Purpose Cleaners? Safe cleaning products are really important to our family. Unfortunately, conventional cleaning products have a huge impact on our health and not in a positive way. When it comes to ingredients used, the FDA doesn’t have strict regulations and many companies don’t list all the ingredients the products include (source). They can also have a huge impact on lung health and can greatly increase asthma. During my childhood, I had horrible asthma, and every time I would clean, it would flare up. It wasn’t until I was out of the house, that it became clear… the products we were using was playing a huge role in my asthma symptoms. Most conventional cleaning products are ladder with “fragrances.” This is a general term for hundreds of potentially toxic chemicals. Chemicals found “fragrances” have been shown to be endocrine disruptors and carcinogenic. Personally, we avoid synthetic fragrances at all cost and opt for essential oils to naturally scent things. Not only for long term health, but also I’m super sensitive to fragrances, and when I smell them, they make me nauseous and usually give me a headache. Even some so-called “natural” brands can contain synthetic fragrances. Don’t use regular castile soap. Castile soap is does not mix well with vinegar. 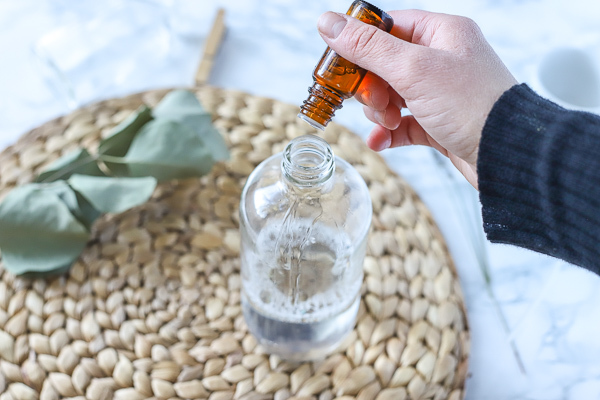 Use anti-bacterial essential oils like Germ Fighter (Thieves like oil) or Germ Destroyer (Kids safe version), tea tree, eucalyptus, or citrus oils for a fresh smell. If you don’t go through cleaning products super fast, than use distilled water. 1 squirt of natural dish washing soap like Ecover, Sun and Earth, or even a little squirt of Dr. Bronners sals-suds (Don’t use regular castile soap as it doesn’t mix with vinegar well). 10-20 drops of anti-bacterial oils for disinfecting like Germ Fighter, Germ Destroyer, or tea tree. Directions: mix all ingredients in a spray bottle and go to work! Thats it! Easy as pie! Add vinegar to spray bottle. Add essential oils and water. Note: If you have granite counter tops, skip the vinegar and add 1/2 cup of rubbing alcohol. Use anywhere that you would normally use an all purpose or glass cleaner. Spray on and wipe off. Want More Natural Cleaning Tips? Check these out! Natural Cleaning Tips to clean your house from top to bottom. DIY all-purpose cleaner is a natural and effective way to clean your house. 1 squirt natural dish washing soap like eco-cover sun and earth, or even a little squirt of Dr. Bronners sals-suds (Don't use regular castile soap as it doesn't mix with vinegar well). Note: If you have granite countertops, skip the vinegar and add 1/2 cup of rubbing alcohol. 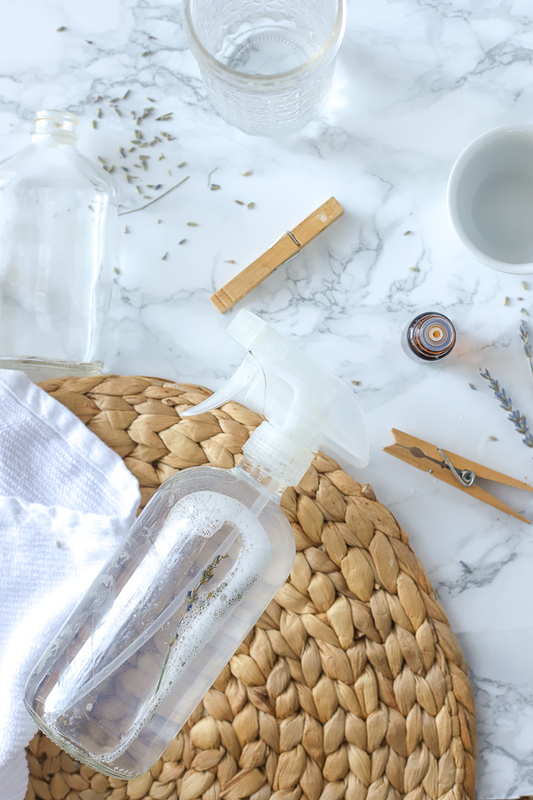 What essential oils works best for disinfecting? Germ Destroyer, Germ Fighter, tea tree, eucalyptus, rosemary, are all great disinfectants. What is the best homemade cleaner? This one… Ok, a little bias over here, but we’ve used this recipe in our house for 7 years and it has worked wonders for us. I don’t want to DIY! Are there good natural store-bought options? 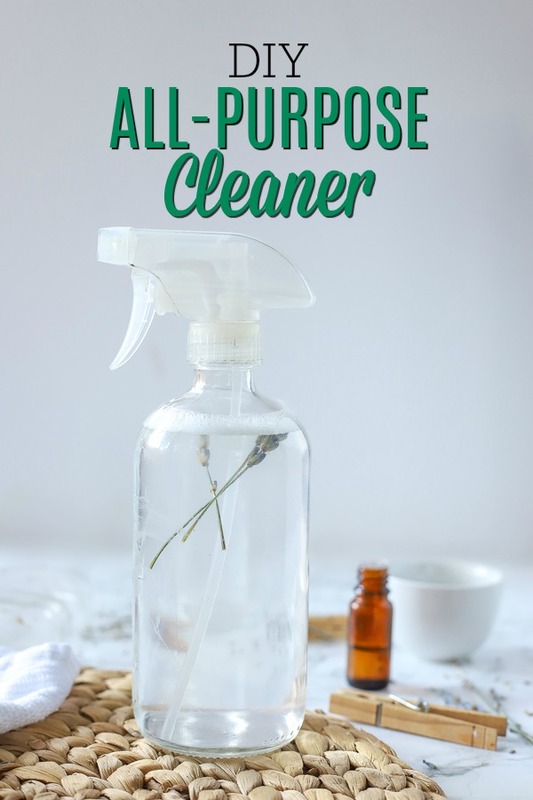 Have you ever made your own DIY all-purpose cleaner before? I love homemade cleaners, I’ve been using them for most of my life. One thing I like to do to make vinegar smell nicer, my husband doesn’t like the smell, is put orange, lemon or both into a half gallon glass jar of vinegar. Then I shake it when I think of it and after 2 weeks use it. something i’m trying is taking your lemon or oranges or grapfruit peelings in vinegar let them set then blend them up then strain you have natural smelling vinegar. Thats also a great idea! How long do you let them sit before blending? And it is so much better for the environment! Its like killing 2 birds with one stone. Thanks for following Linda! I have always wondered about adding essential oils to window cleaner. Now I know! So glad it could help! Me too! I have some previous posts that may interest you! Thanks for stopping by! Where do you get tea tree oil at? You can get it at Hobby Lobby (in the candle making section), Walgreens, online at mountainroseher.com, I’ve heard walmart, or at a local health food or Whole foods type store! Just wanted to let you know you have use this for over a year. I teach a monthly class on budget friendly ideas and I just linked this site on my blog under Tuesday’s Tips.